Poor worker-manager relations not only affect social and environmental performance of a production facility, but can also have a significant impact on the bottom line by slowing down the production process and affecting product quality. The reality remains that many factories have difficulty passing social audits. The top-down, monitoring approach has failed to significantly improve working conditions. Social audits delegate responsibility for implementing improvements to suppliers without providing the resources to do so. For SUSA, dialogue is the solution to address this implementation gap. Working with social challenges in diverse cultural contexts demands a high level of creativity, flexibility and multidisciplinarity. Hence, our dialogue methodology PROSPERe2e® utilises a variety of tools coming from design thinking, coaching and organisational change approaches. The engagement of local partners is of utmost importance in our dialogue programmes. All training activities are conducted by local trainers to ensure that the trainings are culturally sensitive and that the baseline is reached. The core principle of SUSA’s signature dialogue approach is the joint involvement of workers and managers in information exchange and decision-making processes. SUSA believes that this is the most effective way to create improvement in working conditions. By engaging workers and managers in dialogue, we rely on their expertise to identify the most pressing problems in the factory, and their motivation and buy-in help to ensure success. Substantive improvements in the approximately 700 factories that have participated in our worldwide dialogue programmes demonstrate the far-reaching and profound impact of our dialogue approach. 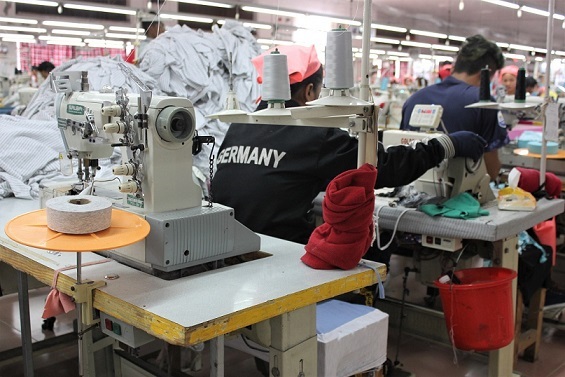 Successes from long-term client projects demonstrate the potential for improvements at the factory-level in numerous areas, such as management practices, productivity and resource efficiency, unauthorized absenteeism, dialogue and communication channels, occupational health and safety, fair wages, working time and discrimination. In addition, the participating brands and suppliers benefit from efficiency gains, enhanced reputation and higher product quality. Crises can escalate quickly and cause significant financial or reputational damage to a company. We help our clients to quickly and effectively respond to crises, providing a rapid and astute assessment of the situation, designing tailored interventions and implementing them on-site promptly. Through SUSA’s extensive experience in crisis intervention, we manage to turn backlash into action, by taking immediate action on-site and skillfully engaging stakeholders. “It takes 20 years to build a reputation and 5 minutes to ruin it.” Warren Buffet. CSR Consulting is a key to long-term success. Responsible business practices considering social and environmental issues are increasingly important. Social and environmental compliance is the basis for a stabil and thriving business. Well-crafted strategic planning is necessary for the development of any industry in the long term. At SUSA, we have the expertise in developing market strategies which helps the industry grow in the long term and in implementing programmes based on the requirement of international standards such as Business Social Compliance Initiative (BSCI) , International Organization for Standardization (ISO) etc. Our solutions take into account the needs of your stakeholders. Our risk management systems will allow you to continue operating in a stress-free manner. We strongly believe that there is no “one size fits all” approach when it comes to social challenges in the supply chain. All of our CSR projects are tailored to meet the needs of our clients. To devise a holistic project concept that considers the perspectives of all key stakeholders, interactive tools and methods are applied throughout the development process. Our solutions range from in-factory child care centers over improvements of health infrastructure for workers to tailored CSR workshops for governments. A well-designed CSR project only generates impact if it is implemented and managed with care and expertise. SUSA has successfully managed projects in numerous countries and under high-pressure circumstances. The project team is formed according to level of seniority, and educational as well as professional background. Diversity spurs our holistic and creative approach. This, together, with the application of diverse methods and tools, results in our signature projects. Local trainers and/or consultants are integrated in the review process to ensure cultural appropriateness. SUSA advises governments on trade promotion of their country’s textile and apparel sector internationally. After a thorough analysis- including infrastructure, existing policies, and global trends- we develop growth strategies, together with relevant stakeholders. SUSA organises and conducts trade missions for producers in emerging economies to establish business ties with international buyers. In preparation, we help producers to meet required international standards and hone their presentation and marketing skills. We arrange meetings with NGOs and standard setting bodies to help producers understand the demands of foreign markets. Through ongoing coaching and support, we foster new business relations for our clients. SUSA conducts expert study trips to Europe for i.e. consultants and government officials of emerging economies in order to build local capacities, and promote experience sharing and knowledge transfer. In meetings and workshops with brands, wholesalers, buying-agents, standard setting bodies and NGOs, participants learn about various rules and regulations governing trade as well as upcoming trends in the international textile and garment industry. SUSA also organises study trips for international buyers to emerging economies. SUSA provides research and assessment services with a dynamic, hands-on approach, based on the needs of our clients. We combine qualitative and quantitative methods, ranging from market analysis to focus group interviews, to deliver reliable and thorough research results. We rely on this research to give evidence-based recommendations. Our assessments include a range of strategic planning exercises including formative situation analysis, stakeholder analysis, and resource mapping. 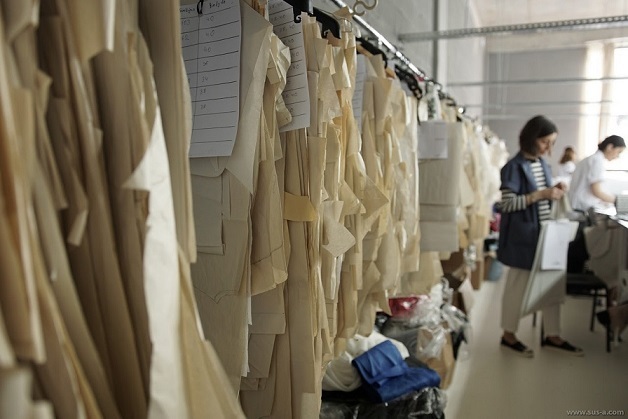 SUSA has extensive expertise in tailoring training curricula and material to meet our client’s needs. As all SUSA consultants travel to the countries of implementation frequently and conduct trainings themselves, they understand the circumstances on the ground intimately. This allows them to design training material that meets local needs and has maximum impact. Topics range from soft skills like dialogue, communication and leadership; to topics like Occupational Health and Safety, fire safety, financial literacy, environmental management, wage calculation and payment, productivity, quality, working time, discrimination and harassment, child labour, and forced labour. SUSA’s capacity-building approach does not only encompass workers and managers at production sites, but also trainers and consultants. 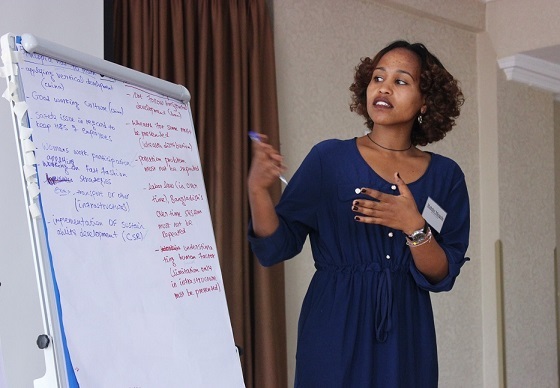 We have conducted numerous Trainings of Trainers workshops in several countries, in which participants learn to conduct practical, interesting and interactive trainings to improve working conditions and mediate conflicts. SUSA also offers services to assess and improve existing training curricula. Our expertise is coalesced in the PROSPERe2e® Handbook. Licensed trainers can apply the approach independently while being able to resort to a trainer handbook which guides and offers flexibility for trainings at the same time. 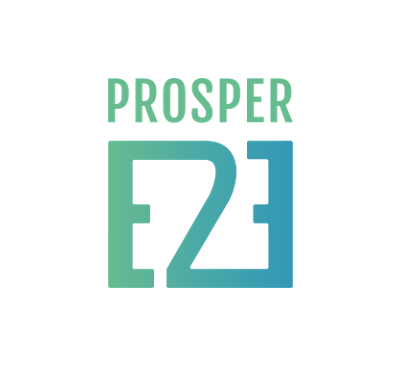 PROSPERe2e® is an innovative dialogue training programme that improves worker-manager communication by teaching factories how to use dialogue tools to jointly develop solutions that improve their labour and social practices. The PROSPERe2e® dialogue programme harnesses the available resources in the factory, such as workers’ expertise and experience, to sustainably improve social and financial conditions. In addition, knowledge transfer related to production and productivity allows the factories to enhance their overall performance. 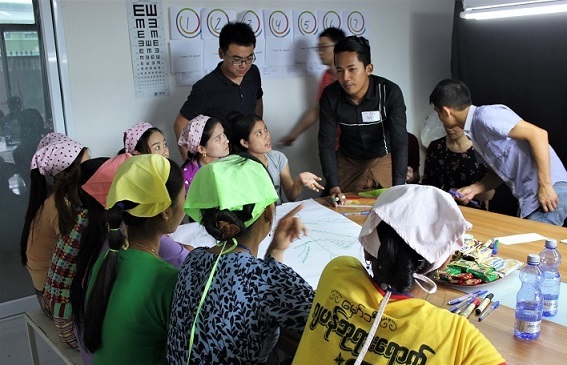 SUSAs approach effectively improves labour conditions through innovative dialogue trainings that build capacity on the factory-level to sustainably and holistically address the root causes of precarious working conditions. It builds on our extensive experience of implementing dialogue trainings in a variety of markets. The basis is the “7-Step Solution-Finding Cycle”, which guides participants through identifying a particular workplace problem, examining it critically, creating a joint vision for the future, and addressing the problem in a structured way. Factories are able to independently apply the straightforward methodology, and the programme’s toolbox approach allows local trainers to tailor the training activities even more precisely to each factory. 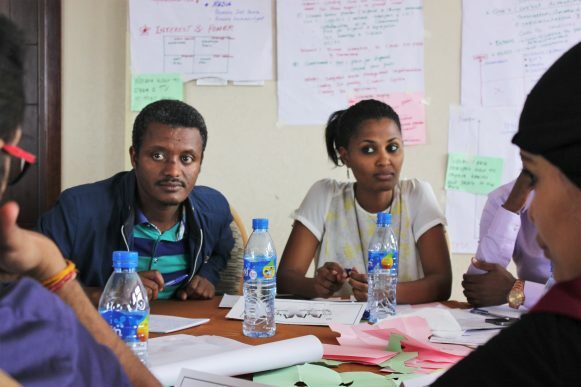 The core principle of SUSA’s signature dialogue approach is the joint involvement of workers and managers in information exchange and decision-making processes. We believe that this is the most effective way to create improvement in working conditions. By engaging workers and managers in dialogue, we rely on their expertise to identify the most pressing problems in the factory, and their motivation and buy-in help to ensure success. 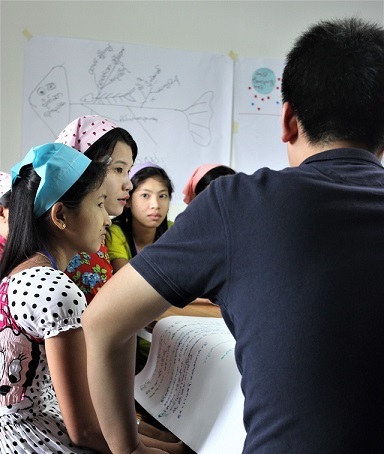 Workers and managers learn to communicate, cooperate and establish participatory structures. The ultimate goal is to find win-win solutions. Workers and managers address real issues from their working life during the trainings and continue to do so afterwards, independently applying the methodology towards sustainable improvement. The SUSA dialogue approach creates an opportunity to address sensitive issues such as freedom of association or harassment, where audit approaches are especially ineffective. The SUSA dialogue approach can engage all levels of the supply chain – from brands and importers to factories and farms – leading to improved cooperation and business relationships.